The land of the collective smooch, the coold cocnuts and the 1-million-dollar birthday parties is also the World’s Headquarters of innovative political initiatives. 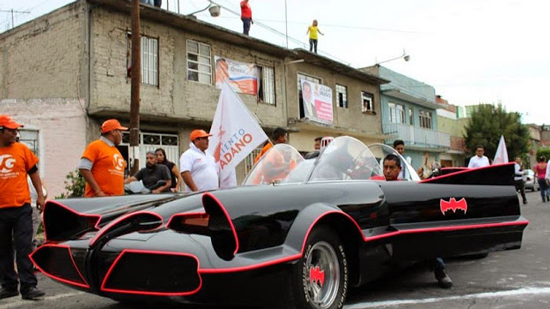 Take Valentín González, aspiring Mayor of Netzahualcóyotl, who decided it was an awesome idea to drive around the impoverished municipality in his own Batmobile. Why? Simple, because it is the only way to fight crime and stuff so he can get elected and all that. 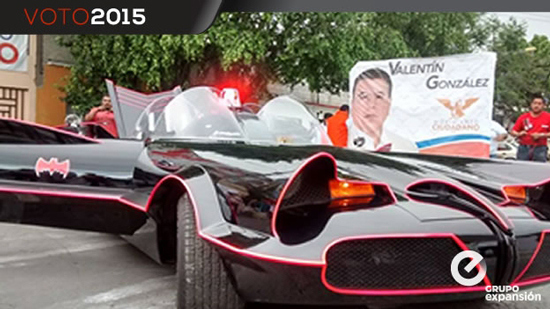 This entry was posted in Awkard homages, Latin America, Mexico, Politics, Stupid propositions, Why I Love Mexico and tagged Mexican politics, Mexico City, Netzahualcóyotl, Politics, Valentin Gomez. Bookmark the permalink.